I went to the Farmer's Market this week and picked up fresh tomatoes and fresh basil. When I got home I was thinking of everything I could make with those ingredients! 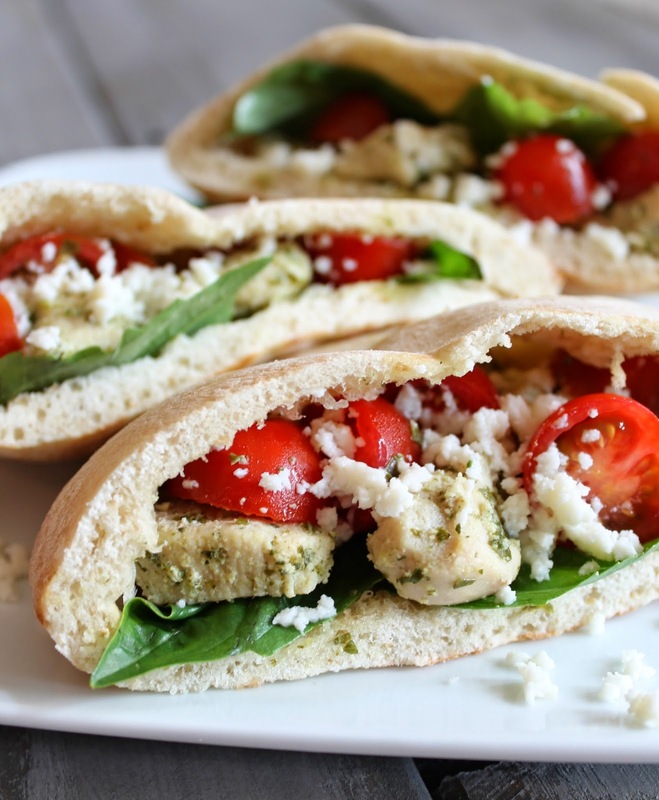 I came up these Caprese Stuffed Pitas and they tasted DELICIOUS! In a skillet, mix together your chicken and pesto. Cook on Medium High heat until your chicken is cooked all the way though. Cut your pita in half and start filling it up. I started with the basil leaves, then added the chicken, tomatoes and sprinkled cheese on top.